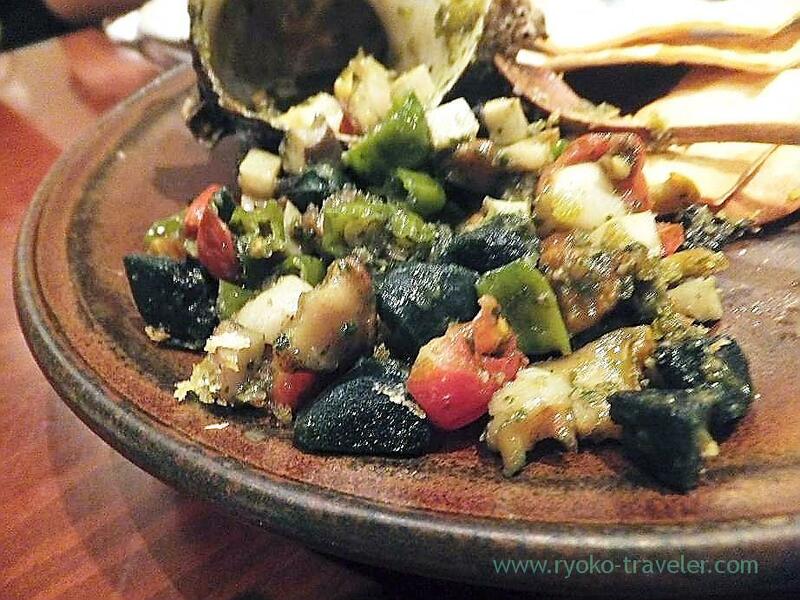 Yamadaya keep serving delicious foods until last. This is the sequel of last post about Yamadaya. There’s jewerly hidden in it. The meat and innards of the turban and vegetables ! The innards wasn’t very bitter and the flavor of the turban was abundant. By the way…. How did they put much ingredients like such into this shell ? 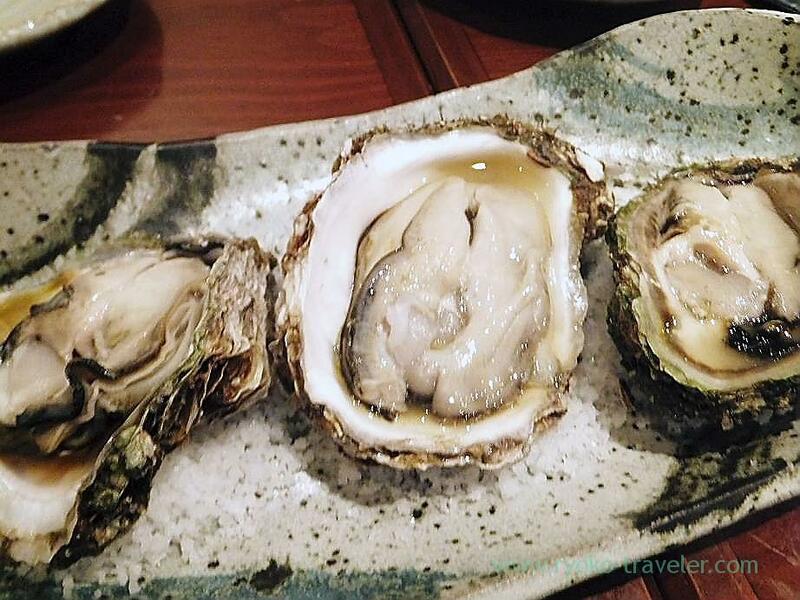 And we ordered oysters from Maizuru (舞鶴産の牡蠣). 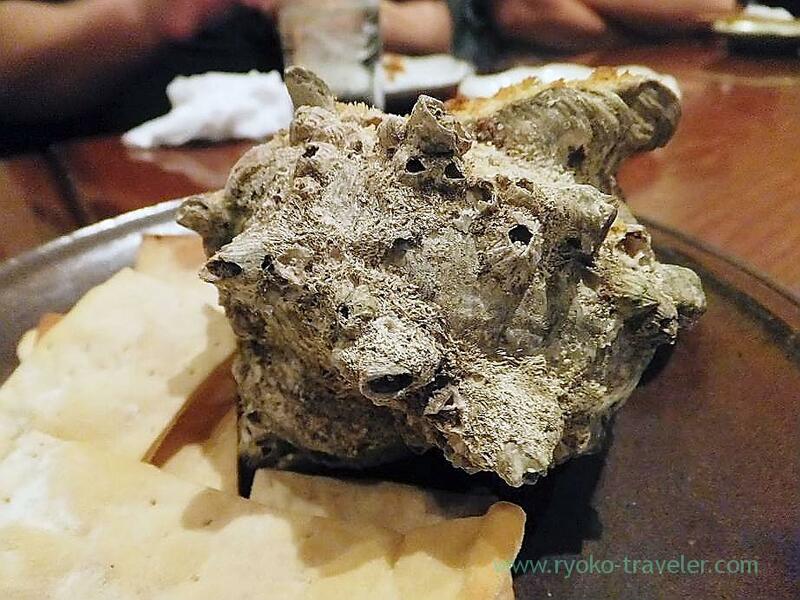 We discussed which is the better way of eating oysters. But we couldn’t decide one. 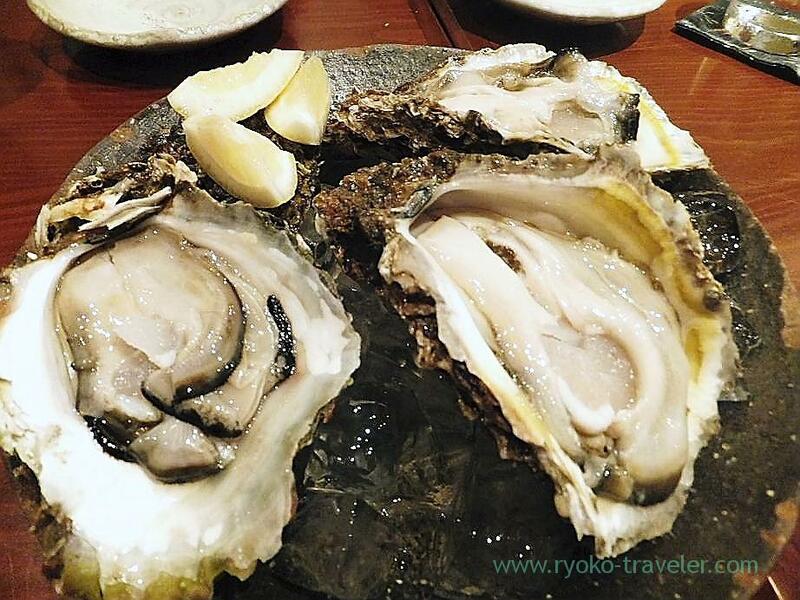 This two way of eating oysters were equally splendid ! 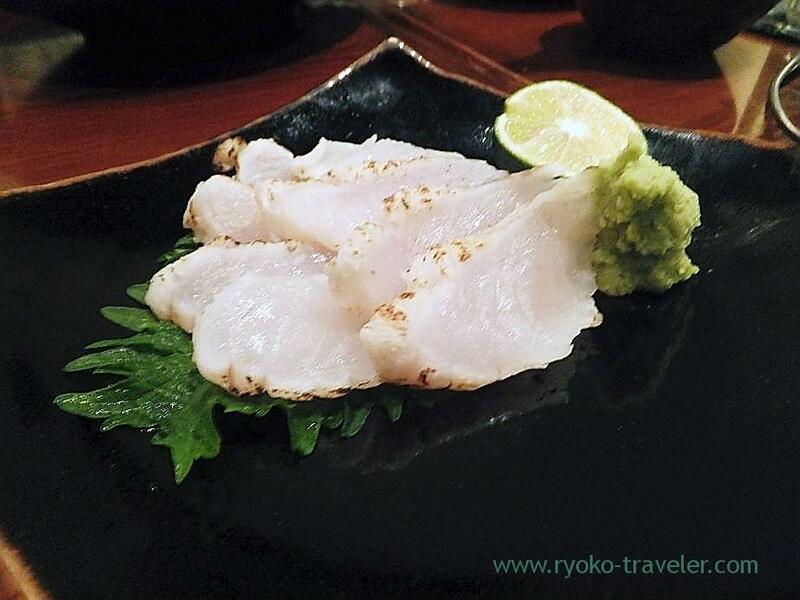 Higanfugu (Takifugu pardalis) from Aomori prefecture tataki (青森産ヒガンフグのたたき) was very chewy. We wanted it grilled more like bonito tataki. Last, we ordered takikomi gohan (炊き込みご飯) and miso soup (みそ汁). 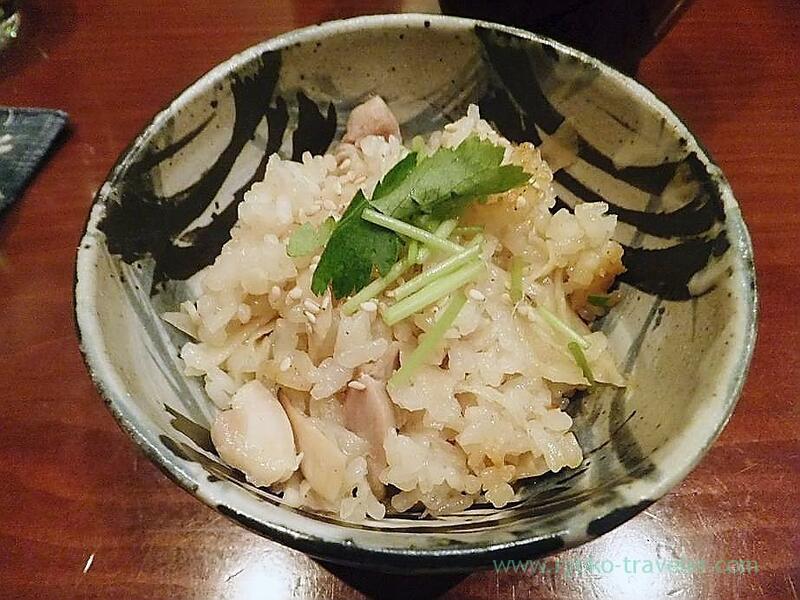 Takikomi gohan with fresh ginger and chicken. The smell of the ginger was strong. And the pungent smell of it attracted us. And of course, the chicken in it was delicious, too. And its looking was beautiful. 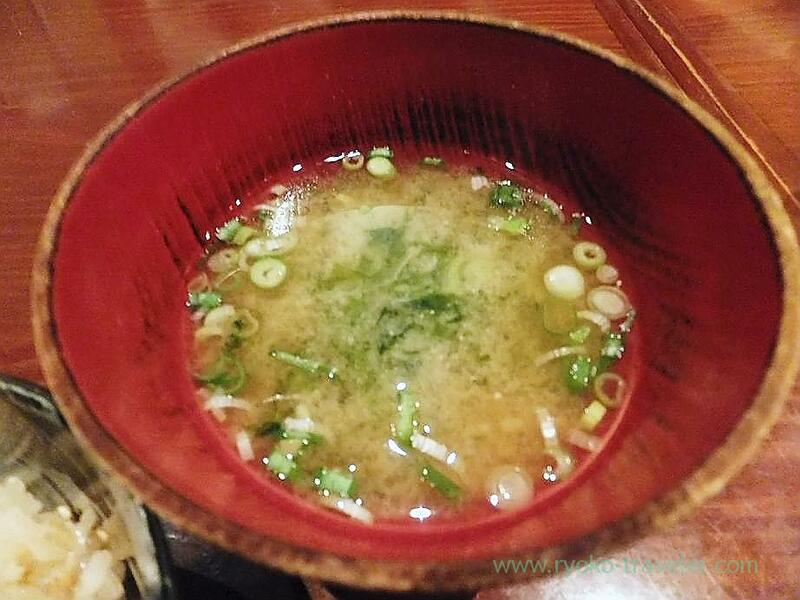 Miso soup. The ingredient was seaweed. Raw seaweed. It had awesome smell of seaweed. We enjoyed Yamadaya’s treats to the full that time, too. Thankful !